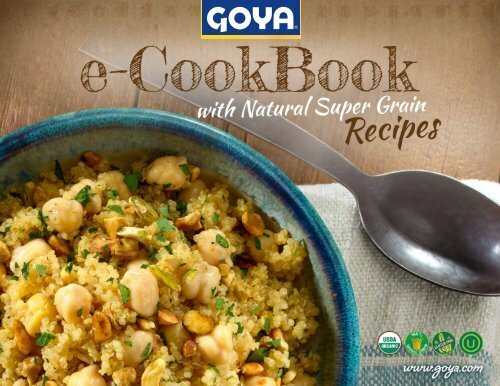 Natural Super Grains Discover our organic line of GOYA® Natural Super Grains: amaranth, chia and our complete line of quinoas: white, black, tri-color and red. These grains are tremendously versatile and incredibly delicious, and are the perfect choice for a healthy diet, due to their great nutritional benefits. Use them to prepare everything from breakfast to main dishes, even delicious desserts. Ideal for a vegetarian diet, they are whole grain, gluten-free and kosher.